Create your own fancy emoji! 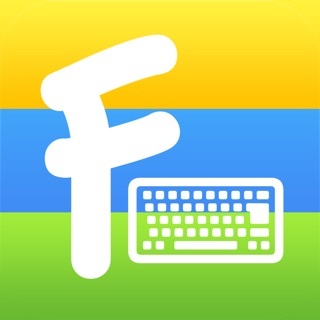 TouchPal Keyboard is a keyboard with predictive text and glide typing. Type fast single handedly by just gliding on the letters! In the meantime, it protects you from embarrassing typos even when you are using swype. Besides, we also have T9 or T+ layout which would be a good choice for those who don’t use gesture typing or swipe typing to type faster. 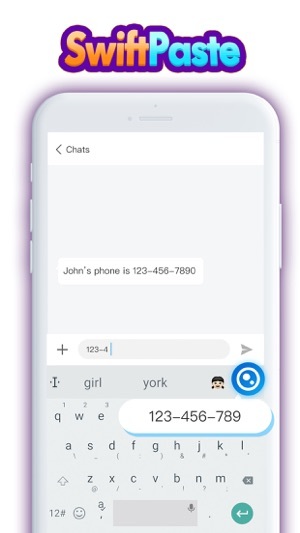 AvatarMoji is now available on TouchPal Keyboard. 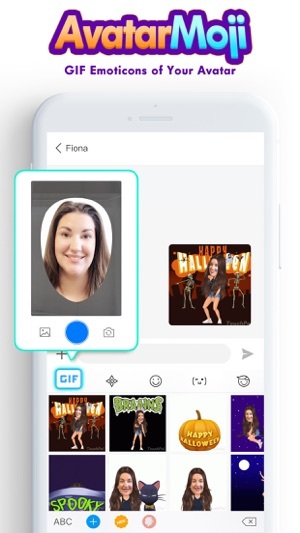 With AvatarMoji, you can create a lot of GIF Emoticon of your own image. 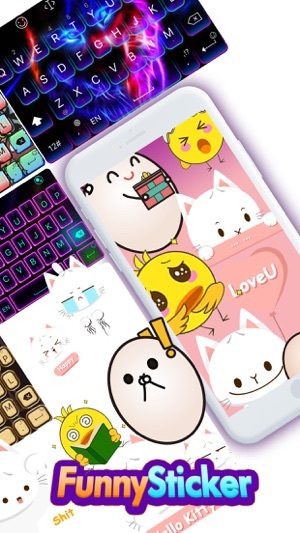 There will be rich skin color, clothing, hairstyle, animation and other materials for you to create them, so that your GIF Emoticon are more interesting and more fun to share with friends. 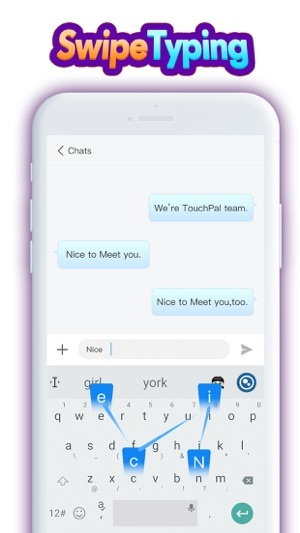 Your AI assistant, Talia(official), is now available on TouchPal Keyboard.With Talia, relevant features and information can be accessed on TouchPal Keyboard without having to switch between apps. - Swift Paste: Get useful information (emails and links) from your clipboard. 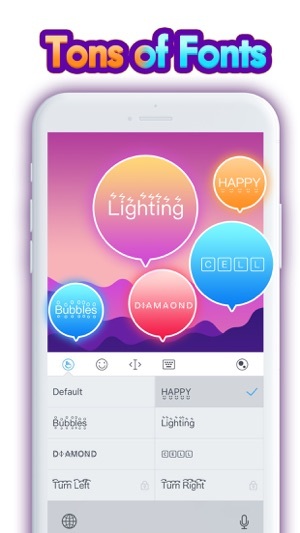 - Emoji Suggestions: Predict relevant Emoji based on your text. - Quick Search: Look up information and share it with your friends. With TouchPal Curve® technology, you may slide from one letter to another to form a word, without lifting a finger! You can also slide up for numbers and slide down for symbols. Slide left on Backspace to delete a whole word. 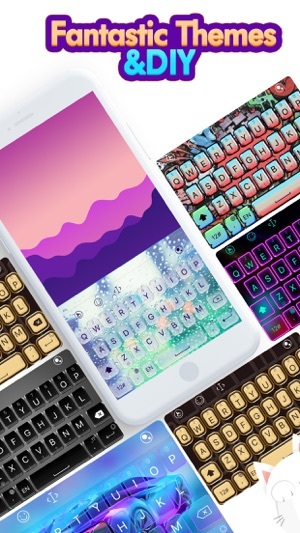 Choose one of the keyboard themes that matching your iPhone color and themes. It also supports you to set your own photo as a keyboard theme. No need to switch between keyboards for Emoji. Simply hold the Enter key to access all the 1500+ Emoji. 5. Congratulations & have fun! 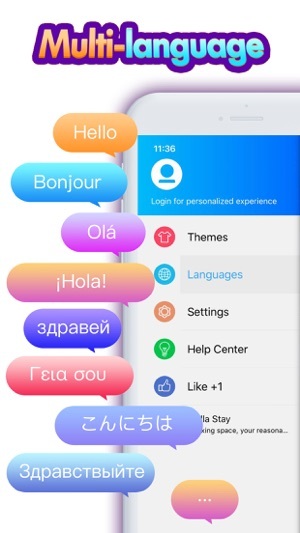 Many features like language switching and themes need the access to read the language data and themes from this settings app. TouchPal treats user privacy seriously. No privacy information will be read or stored. - Slide up for numbers and slide down for symbols. Slide left on Backspace for deleting a whole word. In this version: Experience improved and some bug fixed. AvatarMoji: New GIF Emoticons arrival. 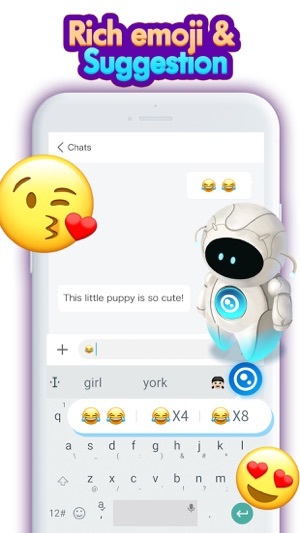 Find them in Emoji platform and send them to friends. I used to love this keyboard, and it's my go to keyboard with Discord because I can make the keyboard dark like the app and actually use the return key, which gets automatically replaced by # and @ in Discord's iOS app on the stock keyboard. However, this last update added Talia, and I'm really unhappy with it. Firstly, it replaced the arrow which would drop the keyboard down. This was the only way I could see what I was typing a lot of times because the TouchPal doesn't automatically scroll what you're typing like the stock keyboard. Secondly, I don't want to see what is on my paste clipboard every time I click to type. Talia does this, in bright blue so you have to see it. This is annoying and unproductive. Finally, when I do accidentally click the icon for Talia, it causes my entire device to chug loading it, preventing me from typing. This is awful, inefficient design. Please make Talia optional in the settings menu and not right in our faces every time we use the keyboard. I hate that I'm going to be switching to SwiftKey until this is resolved. I am getting really tired of having to correct this up. There are words, for example "so", the app corrects it to "do". Ok, not a big deal, just backspace to change it to so... Here is the frustrating part, it changes it to "do" again,and then again and again. If I am going back to correct, the app should know to at least change it to another word or keep the one I just corrected it to. And also here you see that I typed "..." the app automatically inserted a space and capitalized the next word. Also, if I put something in parentheses, we all know that the punctuation signs must go inside the parentheses. The app always places a space between the punctuation sign and the closing parenthesis. Little gripes here and there, but hopefully someone is listening and will make corrections. New version doesn'tautomaticallyspaceafter a worditrecognizes. <-- see what i mean? Every app can be improved, of course. But TouchPal is truly an amazing invention! How do I know it's truly amazing? When people around me see me sliding my finger along on the keyboard, their reaction is almost universally similar: either their jaw drops and they exclaim, "how are you doing that?" Or, they (those who think they're very sophisticated) will come closer and say "How long did it take you to learn how to do that? I bet that isn't accurate most of the time." My simple reply is usually something like "Whose texts are quicker & more accurate? Mine or yours? Then their eyes fall & they ask for the name of the app. If I had to type out all the texts and work that I do on my phone daily, I'd be communicating much less with my world. Also, I have arthritis in my hands & my fingertips are partiality numb on my right hand (I'm right handed). When a friend hands me their phone to type in something for them, I'm shocked at how much I strain to focus, & how clunky and difficult it feels after I've been swiping on my TouchPal keyboard for so long. I'm so grateful for this keyboard! Honestly, I hope I never have to live without it! 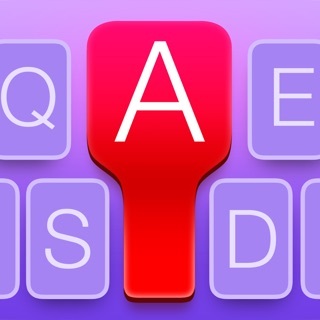 How can I get a Lapop or iPad with this keyboard option? BTW, I am using an iPhone 7+ now, but I also used TouchPal on my Samsung Anidroid Note 3 for years. The app is ahead of it's time, for sure.